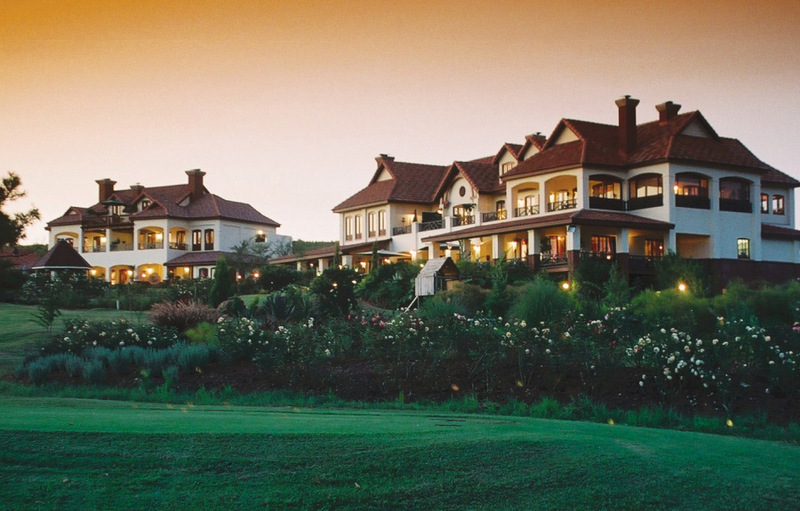 Situated on the secure White River Country Estate and overlooking the first green of the 18-hole championship White River Gold Course, Oliver’s Restaurant and Lodge is the perfect blend of Austrian flair and subtle African influences. 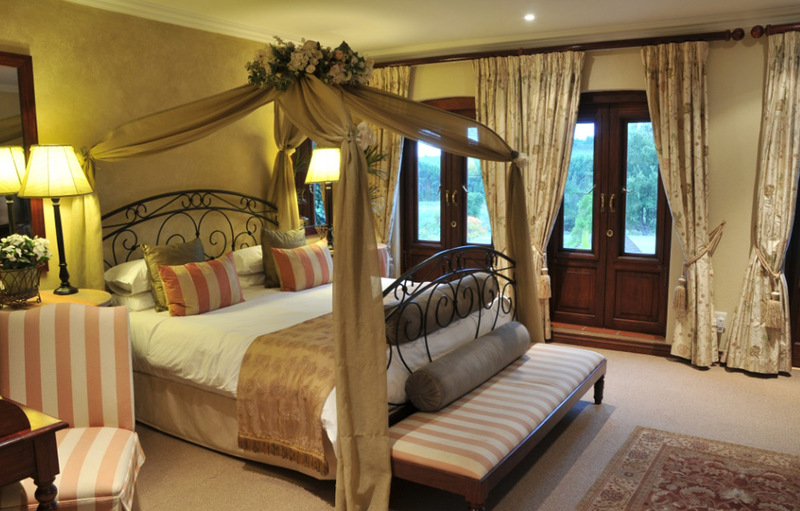 The large Manor house is situated amongst beautifully sculptured gardens and is a haven of peace and tranquillity. Relax poolside or enjoy a day of pampering at the in-house wellness and beauty clinic operated by two highly professional and experienced skin and beauty therapists. 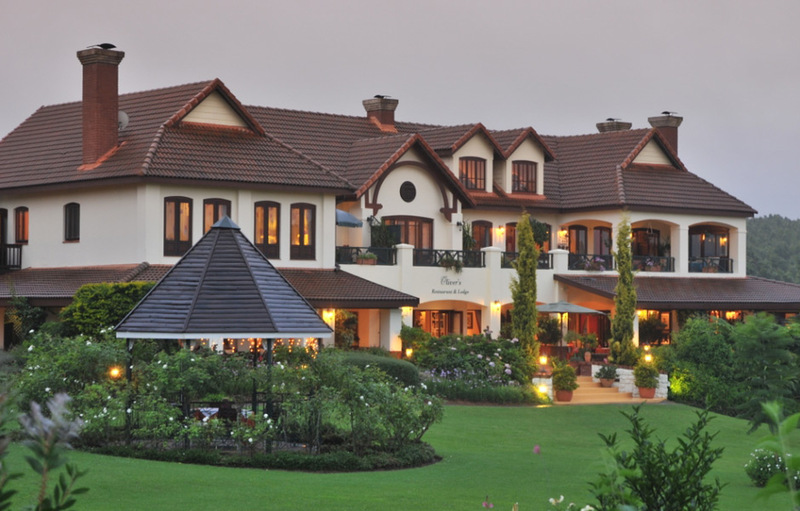 All the facilities of the White River Country Club may be enjoyed and they include golf, tennis and squash. Golf lessons may be arranged with the club pro. 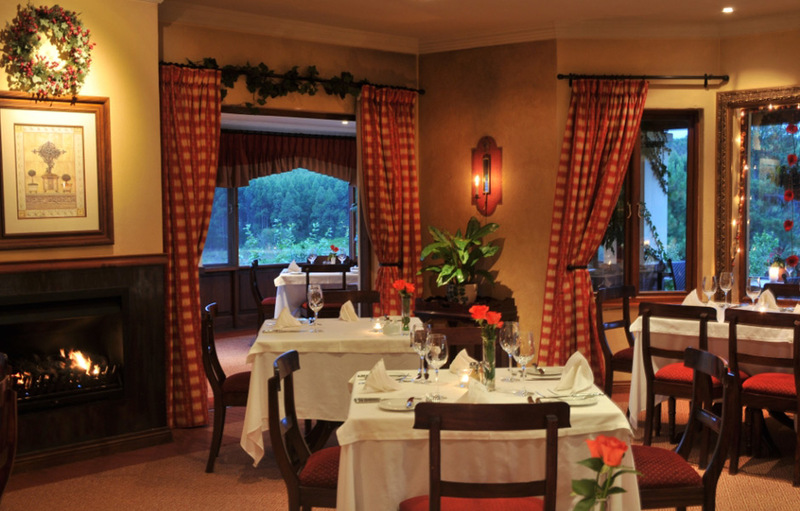 The award winning Oliver’s Restaurant offers continental and Mediterranean dishes from an à la carte menu which is paired with the finest wines from the well-stocked cellar. 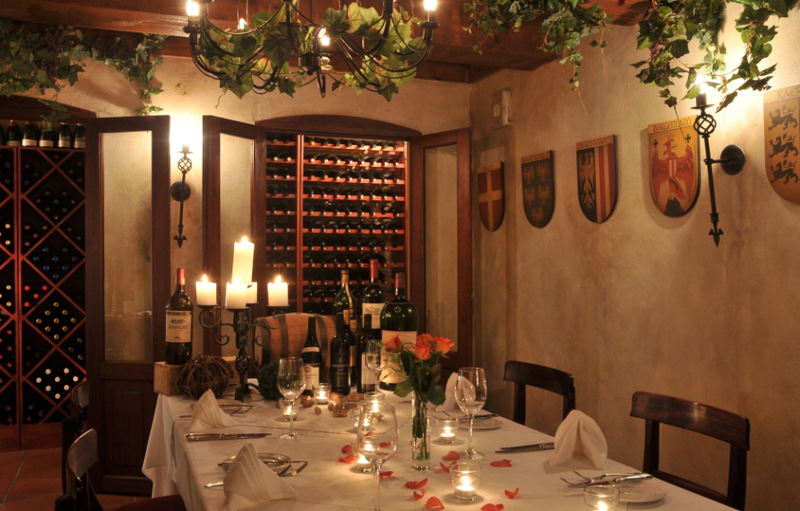 Enjoy a romantic fondue and raclette in the privacy and romantic atmosphere of the wine cellar. 3 Exclusive Double Rooms – all three rooms have wonderful views over the golf course and two have a spacious balcony. Configured either in twin or king-size, the rooms are all individually decorated and have luxurious en-suite bathrooms with separate showers and baths, heated towel-rails and luxury bathroom amenities. 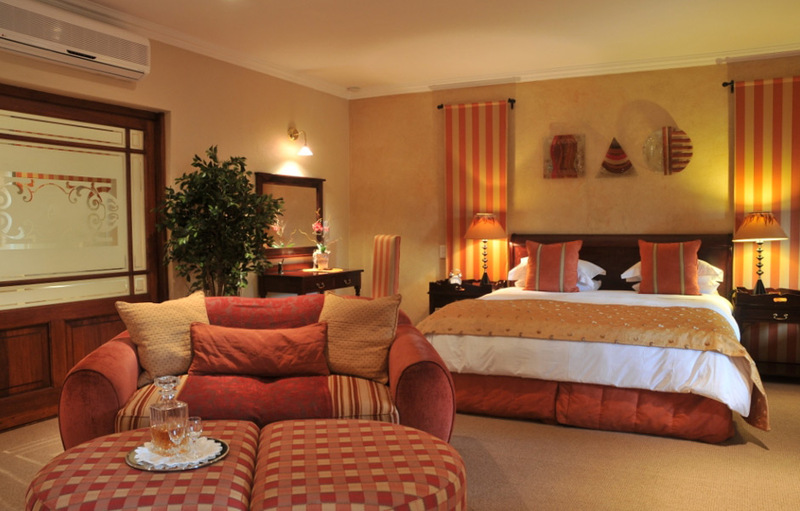 Each Exclusive Double room is equipped with DSTV, telephone, mini-bar with snacks, air-conditioning, heater, coffee & tea facilities, hairdryer and bathrobes. 2 Exclusive Double Rooms - Configured either in twin or king-size, the rooms are all individually decorated and have luxurious en-suite bathrooms with separate showers and baths, heated towel-rails and luxury bathroom amenities. Each Exclusive Double Room is equipped with DSTV, telephone, mini-bar with snacks, air-conditioning, heater, coffee & tea facilities, hairdryer and bathrobes. 4 Luxury Rooms - Configured either in twin or king-size, the rooms are all individually decorated and enjoy spacious verandas on the ground floor with access to the garden and pool. Each Luxury Room has a lavish en-suite bathroom with separate shower and bath, heated towel-rail and luxury bathroom amenities. Each room is equipped with DSTV, telephone, mini-bar with snacks, air-conditioning, heater, coffee & tea facilities, hairdryer and bathrobes. 2 Executive Suites – Configured either in twin or king-size, the rooms are all individually decorated and enjoy large open balconies overlooking the gardens and golf course. Each Executive Suite has a lavish en-suite bathroom with separate shower and bath, heated towel-rail and luxury bathroom amenities. Each room is equipped with DSTV, telephone, mini-bar with snacks, air-conditioning, heater, coffee & tea facilities, hairdryer and bathrobes. 1 Luxury Loft Room - with spectacular views over the golf course, this loft room enjoys a lavish en-suite bathroom with separate shower and bath, heated towel-rail and luxury bathroom amenities. Each room is equipped with DSTV, telephone, mini-bar with snacks, air-conditioning, heater, coffee & tea facilities, hairdryer and bathrobes. The Luxury Rooms, Executive Suites and Luxury Loft are all individually furnished and include all the above-mentioned amenities as well as a mini hi-fi with DVD and speakers in the bathroom. They each have a fireplace with a cosy seating area in front and the 2 Suites have a separate lounge and bedroom – each with its own fireplace. The bathrooms have a separate WC and bidet, spacious showers and corner baths with twin basins. The Executive Suites boast a private outside shower with views over the golf course. Family Cottage - situated right next to the lodge, this private cottage offers 2 separate double rooms (queen beds) each with an en-suite bathroom with showers only. The rooms share a lounge with a fireplace, small kitchenette and veranda. They are equipped with DSTV, telephone, mini-bar with snacks, air-conditioning, heater, coffee & tea facilities, hairdryer and bathrobes.